The Ceramic E.O.D. Knife has been redesigned with a slightly longer, curved handle with serations along the top and bottom to provide a more secure and ergonomic grip. The grip also now features a convenient lanyard hole. The original black ceramic blade has been replaced with a white ceramic blade. The white blade is easier to see when using it in cramped, dark spaces. 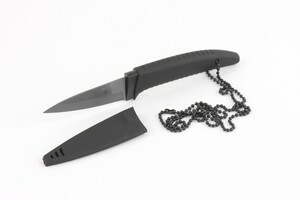 Ceramic bladed knives are popular with military and police organizations for use in EOD operations. 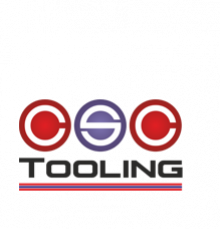 Ceramic blades have the advantage of being non-conductive and non-magnetic. However, since the handles of folding knifes are usually 400 stainless steel, there is a slight magnetic field present. To resolve this problem the E.O.D. 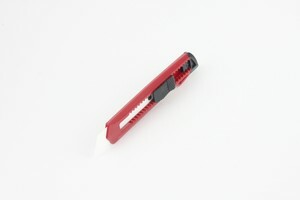 knife has a non-magnetic handle made from high-impact plastic. The sheath, made from the same durable high-impact plastic as the handle, prevents accidental damage to the blade and protects against accidental injury while carrying in an EOD tool kit. Self-draining slots at the tip allow water or other contaminants out of the sheath. 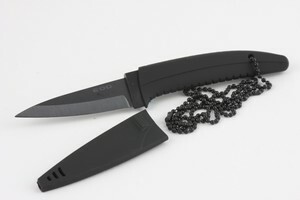 This NEW multipurpose snap-off ceramic bladed knife is very unique. This cutter is perfect for non-sparking and non-magnetic applications. 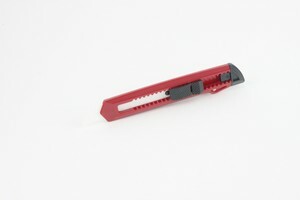 This is the big daddy of retractable cutters. 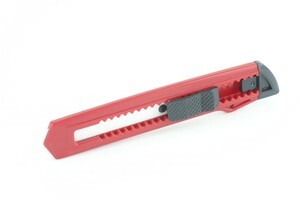 Blade length 4.25” or 10.6 cm and height of 18mm. 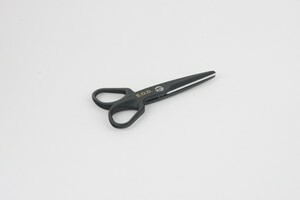 Small reinforced plastic scissors with CERAMIC blade inserts The pivot is 304 Stainless with reduced magnetic signature. Overall length is 5 “ or 125mm and blades are 2 ¼” long , 5.6 cm with weight of one oz, or31 gms. These are marked EOD but do certainly have other applications such as around MRI machines or cutting Kevlar or other new super strong fabrics & lines. Finger holes are actually large enough for a man’s hand. Note: Many competitor’s ceramic scissors will only fit a woman’s hand. 304 stainless steel for the pivot and tightning screw for very low magnetic signature.